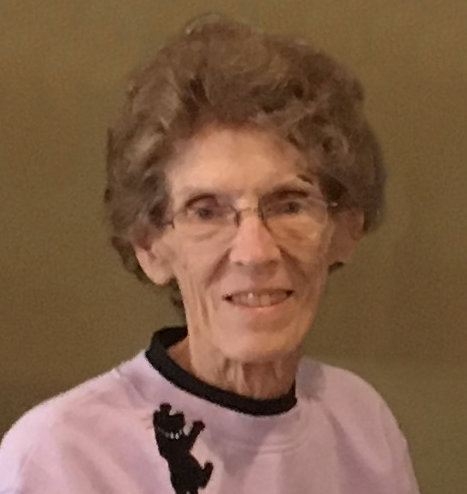 Eula L. Traylor, age 81 of Jasper, Indiana, passed away at 2:06 p.m. on Friday, January 25, 2019 at Memorial Hospital and Health Care Center in Jasper, IN. Eula was born in Whitfield, Indiana on January 23, 1938 to Victor J. and Mary H. (Doyle) Craney. She married Ronald O. Traylor in May of 1958. He preceded her in death on November 13, 2018. She was a homemaker and worked at the Shamrock Cafe in Ireland for over 18 years. She had also worked for the food services department at Memorial Hospital. Eula was a member of Redemption Christian Church in Jasper, and a former member of the Women of the Jasper Moose. She enjoyed spending time with her family and friends, especially her grandchildren and her great grandchildren. Surviving are one daughter, Jacque Kemp (Mike), Jasper, IN, three grandchildren, Starla Neidigh (Scott), Washington, IN, Justin Sermersheim (Jenny), Jasper, IN, Trevor Traylor, Petersburg, IN, six great grandchildren, Brycen, Brant, Maleigh, Ellie, Dylan, and Nora, six sisters, Theresa Berry, Loogootee, Susie Crouse (Paul), Rising Sun, OH, Martha Greene (Bob), Converse, IN, Rita Lillpop (Dennis), Greenwood, IN, Beverly Carrico, Indianapolis, and Cathy Fritchie, Prairieville, LA, two brothers, Louis, Craney (Sarah), Centralia, IL, and Ron Craney (Fran), Indianapolis. Preceding her in death beside her husband was one son, Ronald A. "Buster" Traylor, one sister, Rosie Boese, and one brother, Ed Craney. Funeral services for Eula L. Traylor will be held at 2:00 p.m. on Wednesday, January 30, 2019, at the Becher-Kluesner North Chapel in Jasper, with burial to follow in St. Martin Cemetery in Whitfield, Indiana. Due to expected inclement weather, there will be no gravesite services. Pastor Darrel Land will officiate. A visitation will be held from 9:00 a.m. until the 2:00 p.m. service time on Wednesday at the Becher-Kluesner North Chapel in Jasper. Memorial contributions may be made to Redemption Christian Church, Heart to Heart Hospice, or to a favorite charity.